Want to bring your children along with you to Dallas, TX next May? Don’t stress! We have an exciting and entertaining program arranged just for kids! While you’re attending the International Conference, your children can learn, play, create, and more at Camp ATS, organized by ACCENT on Children’s Arrangements, Inc., a national company specializing in children’s activities. Camp ATS is a complete morning to early evening entertainment program packed with activities for children ages 6 months to 12 years. 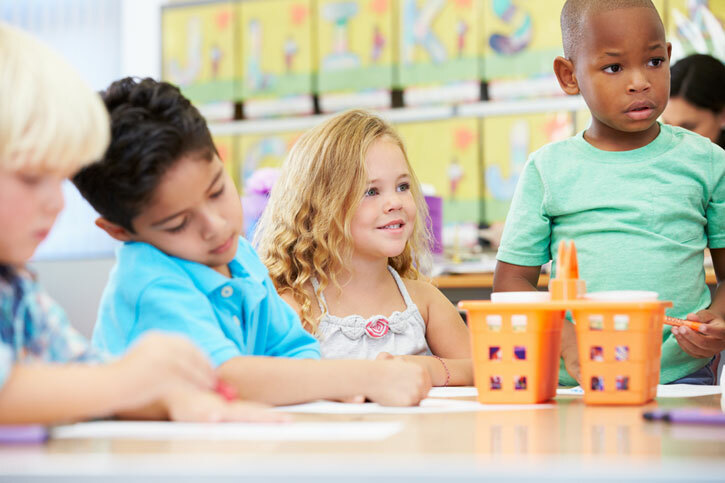 Children participate in age-appropriate activities, including arts and crafts and active games, in a safe, nurturing, and educational environment. The high ratio of caregiver to child (1:2 for children 6 to 12 months, 1:3 for children 13 months to 3 years, 1:5 for children 3 to 5 years, and 1:8 for children 6 to 12 years) ensures campers receive plenty of personal attention. Program costs include morning and afternoon snacks and juice, entertainment, and craft materials. Lunch is not included; however, it can be purchased when registering, or parents can send/bring lunch to the Camp. Camp ATS/ACCENT on Children’s Arrangements, Inc.
ATS reserves the right to cancel this program should a minimum number of children not be met. Should cancellation occur, you will be notified by May 3, 2019.